On the Google.com search field, you can now see a microphone. Unlike the desktop version with Google’s four colours, the microphone here is grey. 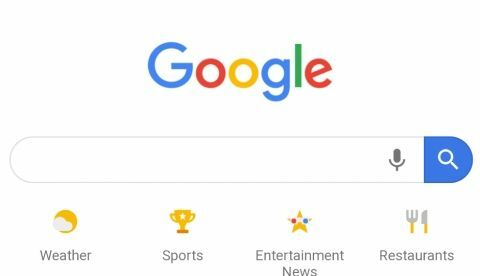 The search field now has a grey microphone icon. Google has been working a lot to provide a hands-free experience on its services by integrating its AI-powered virtual assistant with them. The company has now expanded the Google Assistant voice support to Google.com on Android. 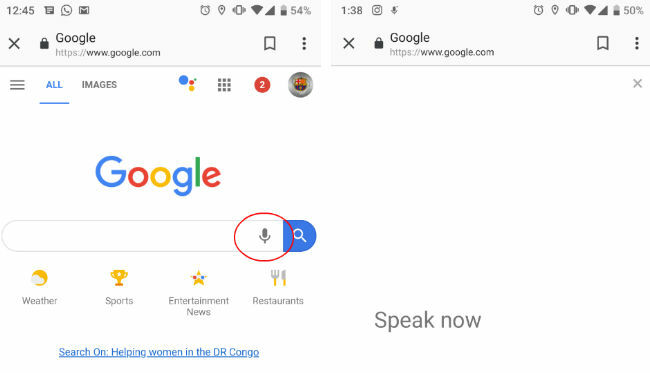 The development was first spotted by 9to5mac and now users can tap on the microphone on the Google.com search field to initiate voice searches. Previously, users could do a voice search on mobile with the Android keyboard microphone. The microphone icon is generic and grey instead of the one on desktop web, which has the symbolic four Google Assistant colours. The search works like it does on any other service. Once you tap on the microphone to carry out a voice search on mobile, you are greeted with a full screen interface with “Speak now” followed by “Listening…” once an audio is detected with live transcription on the screen. Before asking for a query, Google will ask for certain permissions to input queries. Once you have input your search query, it is processed like it usually does on other services. If you ask direct questions, “What’s the temperature,” it will give you focused answers. If you ask generic questions like, “Redmi Note 7”, it will return with the results from various sources. Users can also exit the page by tapping the ‘x’ located on the top right corner of the full-page white screen. At CES 2019, Google introduced new features of the Google Assistant. This includes integration with Google Maps, Interpreter Mode, Flight check-in and Google Assistant Connect platform. With this new platform, the device manufacturers can now integrate the Assistant into their products. The platform uses Google’s existing smart home platform to expand to new device types.